Over 100,000 members and experts comprise Zoho Community—so why not ask a question or share an idea? Want to return the favor? Help fellow users out with your Zoho expertise and gain points along the way! Choose from over 100 user groups across the world to stay informed of meetups near you. 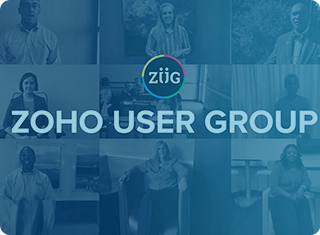 Join Zoho User Groups and be a part of upcoming meetings near you. Connect and talk Zoho with peers, learn from the experts—and have fun doing it!